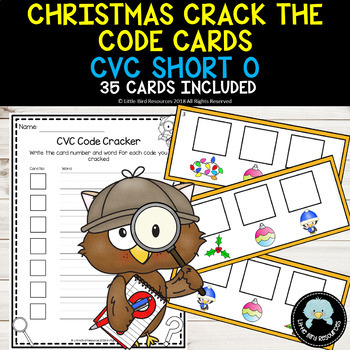 Each code card has 3 images on. 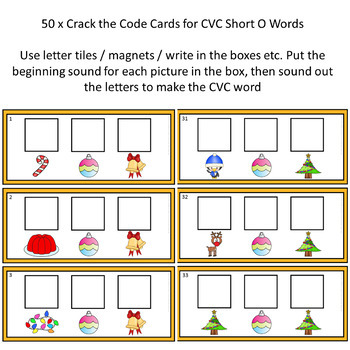 Students put the beginning sound for each picture in the box above it, and then sound out the letters to read a CVC short o word. Students can either use letter tiles / letter magnets etc to build the word, or they can write directly onto the card. 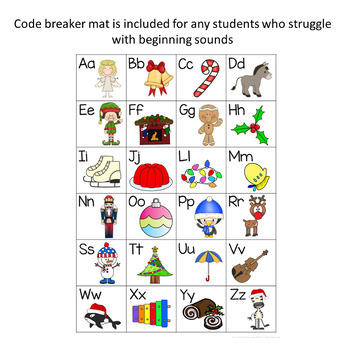 A code breaker mat is included, showing each letter and it's matching picture, to help any students struggling with beginning sounds. 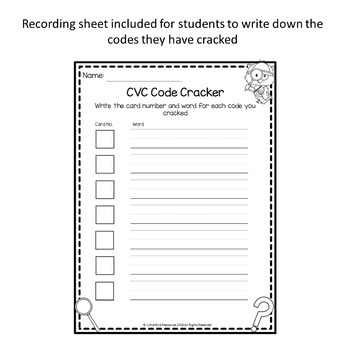 Students can record the codes they've solved on the CVC Code Cracker worksheet, writing the card number and word for each card they solve. An answer key is provided for ease of reference. This can also be used to determine which cards to print for any specific words you want to work on. Please view the preview to view a sample of what is included. All feedback is greatly appreciated and will earn you credits towards future TPT purchases.